“This is an ideal opportunity for him to say, ‘I’ve seen the light,'” Gore said at an anti-pipeline town hall in a historically black part of Buckingham County, Virginia, as part of an “Environmental Justice Tour,” the AP reported. Gore appeared on stage with his daughter Karenna Gore, Rev. Dr. William Barber II, environmental activists and residents of Union Hill, a historically black neighborhood, who oppose the Atlantic Coast pipeline. Northam’s political future was thrown into doubt early in 2019 after his medical school yearbook photos surfaced, showing a picture of an individual in blackface and another in a KKK hood. 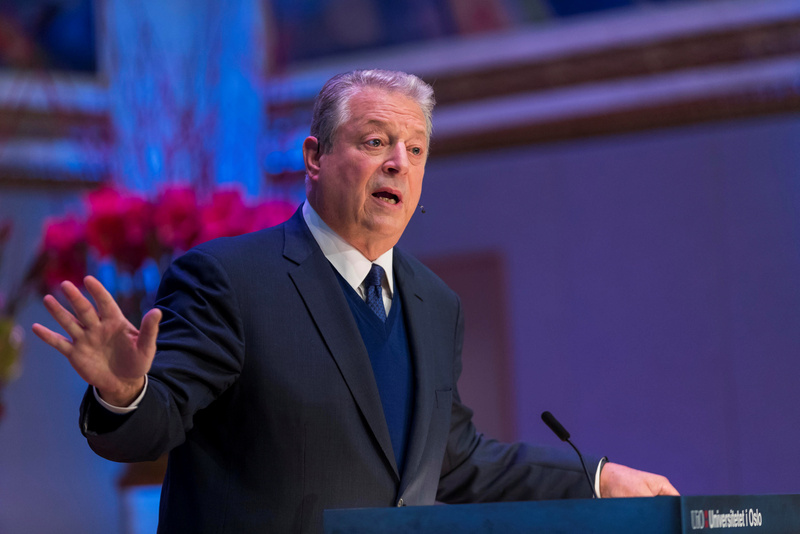 Former U.S. Vice President and 2007 Nobel Peace Prize winner Al Gore speaks this year’s Nobel Peace Prize Forum, in Oslo, Norway December 11, 2018. NTB Scanpix/Heiko Junge via REUTERS. Northam apologized for being in the photo, but, one day later, claimed he wasn’t in the photo amid calls for his resignation. He did, however, admit to wearing shoe polish for a dance contest in 1984. The embattled Democratic governor refused to resign, and wanted to focus on “racial reconciliation,” The Washington Post reported. Barber said Northam needed to address “systemic racism” to truly atone for wearing blackface. “If you want to be a great governor, if you want to help lead the nation, the first thing you oughta do is stop by Union Hill and tell this compressor, tell Dominion, ‘I was wrong, but I’m gonna do right, now,'” Barber said in a fiery speech Tuesday night. The Atlantic Coast pipeline will bring natural gas 600 miles from West Virginia, through Virginia to North Carolina. The Richmond-based utility Dominion Energy will build and operate the pipeline. Dominion plans on building a natural gas compressor station in the historically black Union Hill neighborhood of Richmond, Virginia. The Atlantic pipeline is one of many around the country environmentalists are fighting to block as part of their effort to keep fuel from getting to consumers who need it. 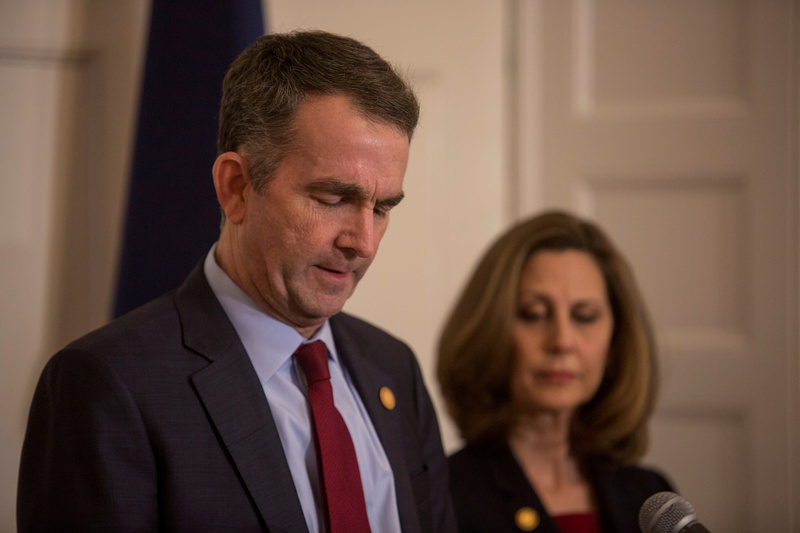 Virginia Governor Ralph Northam, accompanied by his wife Pamela Northam announces he will not resign during a news conference in Richmond, Virginia, U.S. February 2, 2019. REUTERS/ Jay Paul. Dominion proposed spending $5.1 million in the Union Hill community, which could include building a community center, improving emergency services and grants for businesses. The Atlantic Coast pipeline will create thousands of jobs and lower energy bills, supporters say. However, the project has suffered delays and cost overruns while it’s caught up in litigation with environmental groups. Gore called the pipeline a “vivid example of environmental racism,” and claimed compressor stations, like the one planned for Union Hill, can “cause lots of diseases” and emit lots of noise. “We’ve heard about explosions and accidents,” Gore said, also claiming newer pipelines are even less safe — though, like his other claims, this is likely untrue. Gore also called for Dominion to abandon the project and, instead, build more wind turbines and solar panels.